Welcome to Creek River District, one of the area's most historic and fastest growing Scouting regions. Creek River District extends more than 2,450 square milles across both the Savannah and Ogeechee river basins. It serves more than 800 youth, 500 adults and 40 Scouting units in Richmond, Burke, Emanuel, Jefferson and Jenkins counties. The district organized the Georgia-Carolina Council's inaugural 10 Commandments Hike and hosts the area's spring camporee at Diamond Lakes Regional Park, where it also holds a Cub Scout Day Camp in the summer. More than 1,000 Eagle Scouts call Creek River District home, with many of them serving as prominent leaders in the community in fields that include accounting, advertising, aviation, construction, education, engineering, finance, fine-arts, health care, information technology, law, management, manufacturing, ministry, military, public service, sales and transportation. 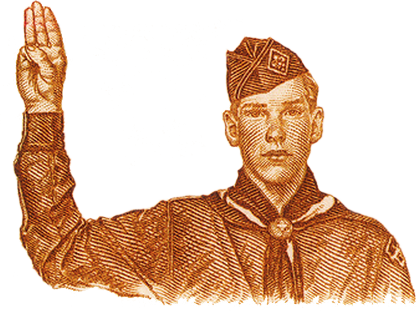 We welcome you and stand ready to partner with you in growing Scouting in the community. A monthly meeting of Creek River District commissioners to plan ways to help units better serve local youth.